Cavity: a word no one wants to hear from their dentist. The story of cavities goes way back, with their age-old presence proven when a team of archaeologists discovered the teeth of our friend “John,” aged about 15,000 years old. And guess what? John’s teeth were riddled with holes because of cavities. Cavities are also very widespread today. 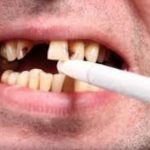 According to a 2016 study by the Centers for Disease Control and Prevention, more than 90% of U.S. adults have had a cavity and about 50% of all adults aged 30 or older have signs of gum disease. Cavities may form in the outer coating and the inner layer of a tooth, or in the gumline. Cavities are caused by an entire ecosystem of bacteria living in our mouths. We actually have more bacteria in our mouth (20 to 100 billion) than the entire human population on Earth! However, this number shouldn’t scare you, because most bacteria in our mouths are harmless. Bacteria in general feed on the foods and drinks you consume, and as living beings, they grow, move, reproduce and discharge waste matter. Depending on what we eat, and specifically how much sugar we consume, certain bacteria can overpopulate and cause the waste matter that causes cavities. Jus like us humans, bacteria love sugar. They use it as an energy source, and when they consume it they release byproducts in the form of acids. These acids then stick to and start dissolving the minerals that make up tooth enamel, which is the protective layer of our teeth. Over time, a pit develops in the tooth and a cavity is formed. Plaque can then build up in those pits as well as in the spaces between your teeth and along the gumline. If left unchecked, it may result in a gumline cavity. Who is at higher risk? And how do you prevent gumline cavities? The key to prevent cavities is good dental and oral health. 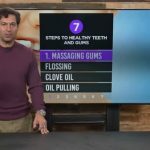 The following tips will help you maintain a healthy mouth, and will highly reduce the chances of getting a cavity or a gumline cavity. This is the most obvious tip and we are sure you’ve been hearing it since you were a child. However, now that you know about the billions of little bacteria that inhabit your mouth, we’re hoping you won’t take it lightly! Brushing your teeth properly can keep your teeth and mouth healthy and strong. Always brush your teeth, taking care to brush down to the gumline, twice a day for two minutes with a soft toothbrush. And don’t forget to replace your toothbrush at least every 3 to 4 months. 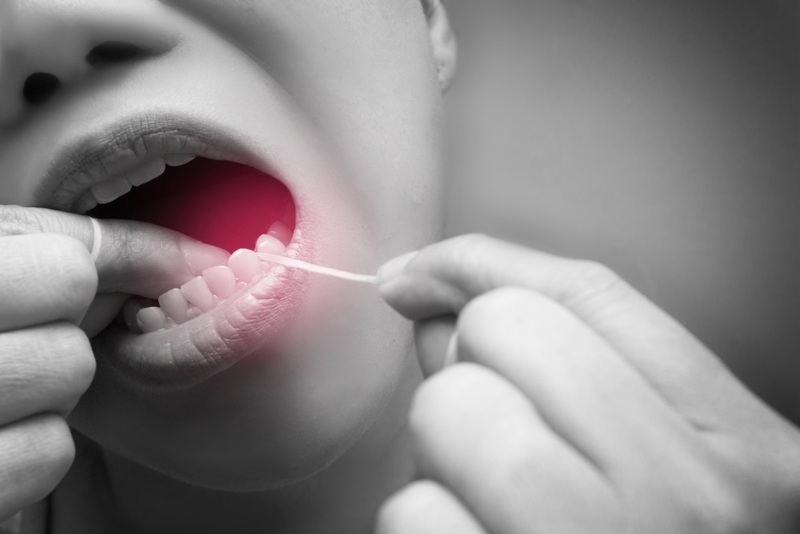 Finally, clean between your teeth once per day with dental floss to remove plaque that’s hard to reach with a toothbrush. Also be sure to use a fluoride-containing toothpaste, because according to the American Dental Association, when the fluoride compounds are present in your mouth they can actually make your teeth stronger and prevent cavities. They can even reverse early tooth decay. Fluoridated water, in particular, can do miracles in preventing cavities for the whole community. Studies have shown that that water fluoridation can reduce the amount of decay in children’s teeth by 18-40%. Remember our friend John from before? John’s cavities were formed 15,000 years ago by the same thing that form our cavities today: bacteria. And although John’s diet did not contain processed sugars, the carbs from his rich in nuts–and–vegetables diet were broken down into simple sugars that bacteria could still feed on. To avoid cavities, you must stop feeding those “naughty” bacteria that live in your mouth with processed sugar. Consume nutritious foods and try to avoid foods and snacks high in sugars as well as sweetened beverages such as sodas and energy drinks. If you have to consume a food high in sugar, brush your teeth shortly after. You’re probably aware of the negative effects smoking can cause to overall health, too. According to the College of Dentistry, “smoking can do a lot more than just stain your teeth—this unhealthy habit can also lead to gum disease, tooth loss, and even oral cancer.” Try to quit smoking for both your overall and your oral health. Regular dental checkups are another key factor to reduce your chances of getting a cavity or gumline cavity. Your dentist will provide you with professional hygienic cleaning procedures that remove plaque and keep your teeth and gumline secure from cavity risk. In addition, the dentist will examine your mouth and spot other potential risks as well as the early signs of tooth decay. The idea of having an electric drill in your mouth doesn’t sound terribly appealing to anyone. But let’s get back to our friend John for a second. Archeological findings have shown that about 14,000 years ago, sharpened stone tools were used to remove bits of rotten teeth and cure cavities for John and his friend! We choose to feel thankful to have the tools available today—any drill will trump stone tools to fix tooth decay. Filling a tooth with materials such as dental amalgam or composite resin is the most standard treatment for cavities in our day and age. Your dentist starts by removing the decayed material with a drill or laser, and then fills the hole in. Cavities along the gumline are treated in the same way. 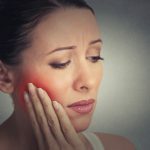 However, based on the severity of the damage to both the tooth and gumline, your dentist may choose another treatment plan, such as crowns or root canals. Cavities are wide-spread and can cause a lot of complications, but they are also easily preventable. 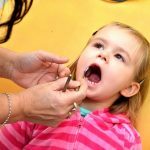 Cavities prevention starts by practicing good oral health from an early age, and decay can be later prevented with a proper diet and regular dentist visits.